I used the "Delete Volume" option to delete my D drive so that I could extend my C drive into it but instead of becoming black coloured and unallocated in Disk Manager, it shows green coloured and "free space" and the "Extend partition" in C Drive is disabled. I also tried using Diskpart from the cmd but the deleted volume doesn't show in there. Please help! The space that you freed is inside extended partition which is special type of partition - it can hold logical partitions. By default disk manager won't let you resize extended partition which contains other volumes. It needs to be empty, then it can be resized. That is the reason why windows won't let you expand your C volume. You can use external tool, like gparted to do the resize of extended partition and then your C drive, however I strongly recommend to do a backup of your data first. From your screencap, I can see that your D drive you deleted was a logical partition - that is, a partition within a partition. The dark green frame represents the actual physical partition. Still from your screencaps, there are 3 other logical drives in it (E, F and G). Before you can delete the Extended Partition (the physical partition that contains them all), you have to completely empty it. Your C drive being a physical partition, you need actual unallocated space next to it before you can extend it. In your case, the green "Free Space" next to C is allocated, because it is part of the extended partition. 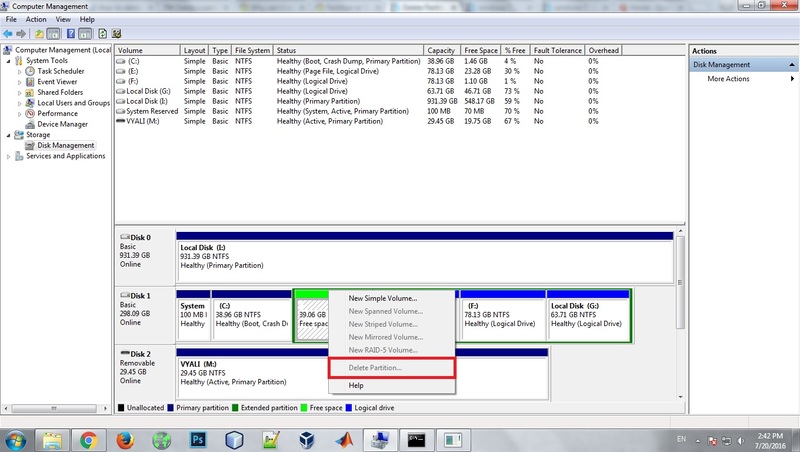 Primary Volume Partition size cannot be extend which not contain in primary volume. your drive in Deep Blue border Primary volumes. and rest other in Green Frame which are Logical Volumes. so you cannot be extend C: drive from Logical Volumes partition size. You can extend from E: F: G: Any cause they are same group. Not the answer you're looking for? 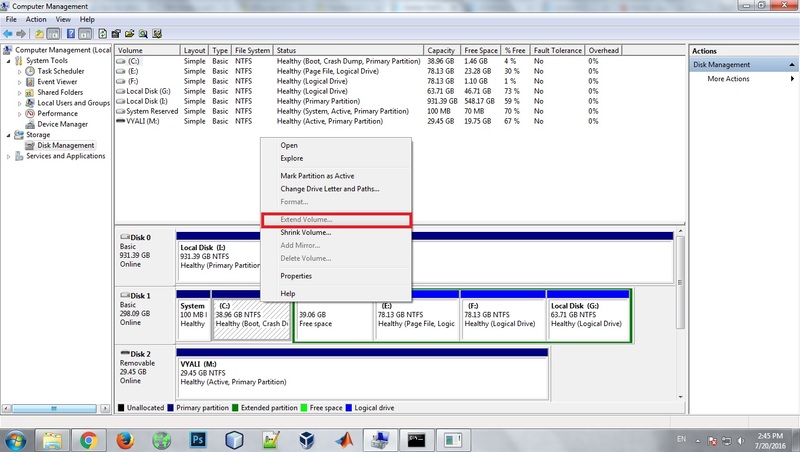 Browse other questions tagged windows-7 hard-drive partitioning or ask your own question. Delete partition option is disabled, why?